This is a social good hacking event. All outcomes will be open source and available publicly. 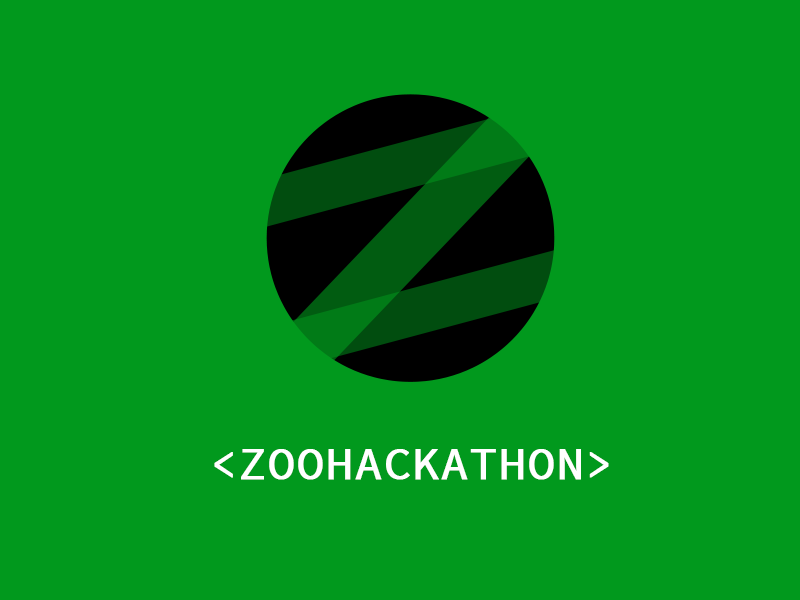 All Zoohackathon projects, work, and outcomes by Zoohackathon participants are licensed under a Creative Commons Attribution 4.0 International License. To ensure an equal playing field for all contestants, all code and visual images used for the purposes of judging must be created during the hackathon. You are free to make plans (e.g. create wireframes, and brainstorm) prior to the event. The only exception to this rule would include material that is freely available to the public. Some examples include: public domain images, open source libraries, etc. Failure to comply may result in the offending individual or team's disqualification. All individuals or teams that qualify for prizes may be subject to a code review. You are encouraged to use third party services, APIs, open source projects, libraries, and frameworks. All attendees, sponsors, partners, volunteers and staff at our hackathon are required to agree with the following code of conduct. Organisers will enforce this code throughout the event. We expect cooperation from all participants to help ensure a safe environment for everybody. Our hackathon is dedicated to providing a harassment-free experience for everyone, regardless of gender, gender identity and expression, age, sexual orientation, disability, physical appearance, body size, race, ethnicity, nationality, religion, previous hackday attendance or computing experience (or lack of any of the aforementioned). We do not tolerate harassment of hackathon participants in any form. Sexual language and imagery is not appropriate at any hackathon venue, including hacks, talks, workshops, parties, social media and other online media. Hackathon participants violating these rules may be sanctioned or expelled from the hackathon without a refund (if applicable) at the discretion of the hackathon organisers. Harassment includes offensive verbal comments related to gender, gender identity and expression, age, sexual orientation, disability, physical appearance, body size, race, ethnicity, nationality, religion, sexual images in public spaces, deliberate intimidation, stalking, following, photography or audio/video recording against reasonable consent, sustained disruption of talks or other events, inappropriate physical contact, and unwelcome sexual attention. As this is a hackathon we like to explicitly note that the hacks created at our hackathon are equally subject to the anti-harassment policy. If a participant engages in harassing behavior, the hackathon organisers may take any action they deem appropriate, including warning the offender or expulsion from the hackathon with no refund (if applicable).